Long before weed was legal in Colorado, the Rockies reigned supreme. Adventure is sewn into the cultural fabric of this colorful state and there are an abundance of options when deciding what to do for a day trip. 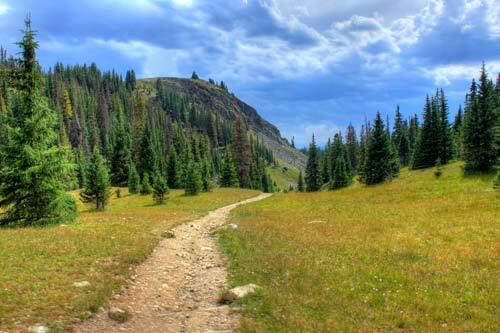 Whether you are looking for a short walk around Denver metro’s 100+ miles of trails or something more mountainous, there are plenty of options for everyone. Don’t forget about rafting, hot springs and national park adventures, plus numerous Colorado mountain towns that are home to some of the best restaurants and one-off experiences in the country. No matter what you choose, we recommend incorporating some type of adventure into your itinerary to ensure an extremely fun time in Colorado. Possibly the most famous adventure location in the Denver area, Red Rocks Park & Amphitheater is a great place to go on a quick hike. 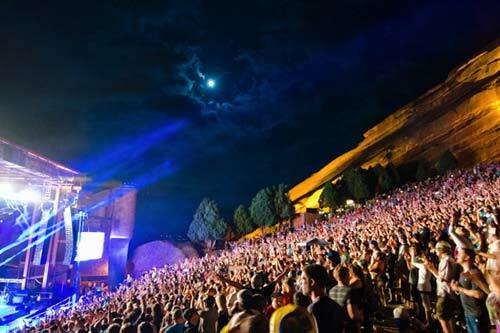 The amphitheater itself is made of massive red rocks that nearly engulf the stage on both sides. When the 9,500-person open air theater isn’t filled with music fans, it is often used to practice yoga and exercise. If that sounds a bit too strenuous, Red Rocks also offers short hikes around the amphitheater with beautiful views and close-ups of the famous slabs of red stone. One of the closest hikes to Denver, Matthews / Winters Park is a great place for a more leisurely experience. A small creek greets hikers at the beginning of the trail where there is also a picnic area in a nicely shaded area. The hike itself is almost entirely in the open through rolling hills that eventually lead to a steeper segment, from the top of which there is a view of Red Rocks. Once at the top of the plateau, there are some more shaded areas (although not many) but it is a great place to take some photos of the scenery. In nearly every picture of Boulder, the majestic Flatirons sit stoically in the backdrop overlooking the town. Hiking the Flatirons is a favorite activity of Boulder residents and getting there from the quaint and historic Chautauqua Park is a beautiful experience in and of itself. This destination also offers options depending on how adventurous you feel. Take off on a moderately strenuous hike up the Flatirons (1 or 2) or just relax in the sun at the park. Due to the close proximity of the park in the town of Boulder, the trail gets extremely busy on the weekend, so plan accordingly. Just minutes down the street from Matthews / Winters Park is Dinosaur Ridge. This unique piece of geological history is a part of a mountain with visible fossils and footprints from some of the most famous dinosaurs ever including the Stegosaurus, Apatosaurus, Diplodocus, and Allosaurus. Dinosaur Ridge allows visitors to walk along a fairly steep, although not treacherous, path with fossils and footprints clearly marked by plaques. The views from the trail aren’t too shabby either. While the Flatirons and Chautauqua Park may be a hallmark of the Boulder experience, the Mount Sanitas Trail is a worthy adventure of its own. Described as a “lung burner”, this trail is rated as moderate but inexperienced hikers should be prepared with some solid hiking shoes and plenty of water. The views of Boulder at the top of the hike are well worth the workout and canine companions are allowed as long as they are on a leash. It’s hard to talk about adventure in Colorado without mentioning Rocky Mountain National Park (RMNP). With over 350 miles of hiking trails and the highest paved road in the United States (Trail Ridge Road), RMNP is an amazing place to spend a day (or two, or three). This is a longer drive (1 hour 35 minutes) but it’s hard to pass up the experience to see Colorado at its finest. Estes Park is also a short drive from RMNP and serves as a great little mountain town. Stephen King’s, The Shining, was inspired by the Stanley Hotel in Estes Park, if you’re looking for a frightening excursion! 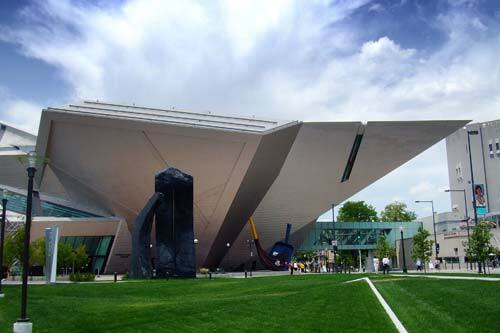 Some people may not know that the TV show South Park is actually inspired by a small town in Colorado. While the town doesn’t seem to be as funny as the TV show, it does offer some adventure to its visitors. South Park City is an open-air museum that features a recreation of a mining town from the days of the Colorado Gold Rush. This little piece of history is interesting to see and the town itself has 360 views of pure beauty. The town of Steamboat Springs is eclipsed with mountain views and the Strawberry Park Natural Hot Springs offer a truly serene place to relax. Open year round, this mountain destination comes complete with rustic cabins and covered wagons. A day trip here isn’t a possibility, but if you’re looking for an escape from a hectic lifestyle, this would be a beautiful place to spend a few days. For the thrill seekers, rafting on the Animas River might be the perfect adventure for you. Full of twists and turns throughout miles of exciting river water, there is a surprise around every corner. If the full rafting experience is a little too much, people often float down the river on tubes for a more laid back ride. Colorado is a big state, which means there are plenty of places to choose from when purchasing your cannabis. The following four stores offer solid products and service and are conveniently located next to your adventure destinations. Remember, even if you’re far from the big city, you’re still only allowed to have up to 1 oz of marijuana at a time. Providing consumers with high-quality cannabis flower, concentrates, edibles and more, GroundSwell Cannabis Boutique is one of Denver's best places to stock up at for 4/20. Plus, this year they're offering exclusive deals so you can save big and enjoy the celebrations. Stop by GroundSwell's convenient Denver location today to interact with their helpful staff and make sure your cannabis holiday is full of fun and, of course, excellent cannabis products! The Station provides the most comfortable, welcoming experience for its customers. Their knowledgeable staff will help guide you in choosing the best strain or product for your next adventure to the Flatirons. Located right along 28th (which cuts through the town of Boulder), one visit to this dispensary and you’ll want to come back. Mountain grown cannabis is some of the best stuff in the world and Northern Standard in Alma are doing it right. Located between the Pike, San Isabel and White River National Forests, this shop may by in the most picturesque town in the state. Stop by and grab some of their mountain-famous CO2 oil before heading back on the trail. Boasting a wide selection of high-quality cannabis, Golden Leaf has grown in reputation around Steamboat Springs for having some of the best marijuana in the state. The care they put into their plants is clear and you won’t be disappointed with your day trip if you stop here. Not only is their flower on point, but their concentrate selection is top notch as well. Complete with friendly staff and quality products, The Greenery is one of the premium cannabis shops in Durango. Unwind after a long camping or hiking adventure with some of their Larry OG or get your day started the right way with a toke of their Dutch Train Haze. Whatever your mood, you’re sure to find the right fit at The Greenery. 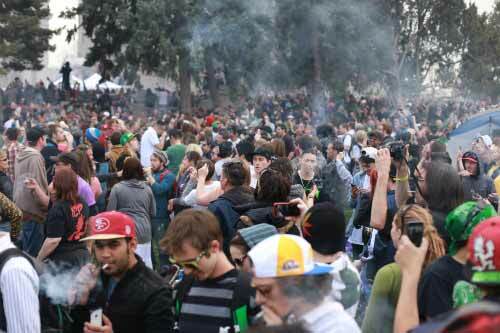 Finding a cannabis-friendly hotel or private residences that allows consumption in and around Denver, Colorado is easier than you think. Don’t forget that many places will only allow vaporization (vs. combustion), so make your purchases wisely. There is no shortage of great food throughout Colorado. Check out some of these local digs while you plan your next adventure to stay fueled for anything that comes your way. If you’re looking for a quick bite to eat for lunch before or after an adventure, T/aco is a great staple in Boulder. The street tacos are known to be some of the best in town and the restaurant itself features cute decor with a laid back vibe that’s perfect for hiking attire. Mountain Sun Pub & Brewery is a great place to have a delicious burger and a few beers with some friends. The staff is very friendly and they feature a host of local Colorado brews to choose from every month. It’s a very popular spot due to its vibrant atmosphere, so try to get there early (or risk waiting for a bit). The Cow Eatery is a Morrison favorite. Featuring old school ice cream, breakfast and lunch, The Cow is a good place to stop before or after checking out Red Rocks or Matthews / Winters Park. The food selection is almost as good as the friendly atmosphere. Eating at this quaint crepe shop is a Durango right of passage. Michel’s Corner Crepes is owned and operated by one man: Michel himself. This street side restaurant is often hailed as the best restaurant in Durango and customers love the atmosphere and high-quality food. The Backcountry Delicatessen is a popular, cheap eatery in Steamboat Springs. Known for good beer and great sandwiches, Backcountry is a treat for anyone visiting this spectacular town.